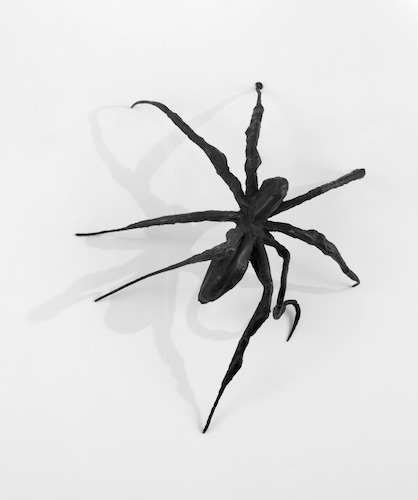 Louise Bourgeois, SPIDER I, 1995, Collection The Easton Foundation, Bronze, dark and polished patina, wall piece, 50 x 46 x 12 1/4″; 127 x 116.8 x 31.1 cm. Louise Bourgeois (1911–2010) was born in Paris and lived and worked in New York from 1938. She is widely recognised as one of the most important figures of modern and contemporary art. 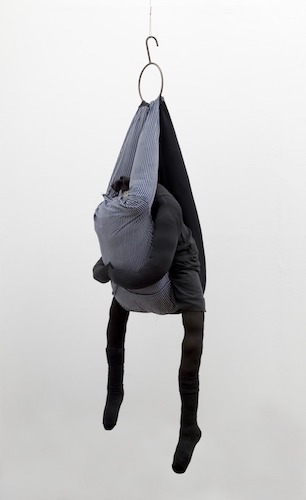 Often biographical, Bourgeois’ work explores themes including childhood, family, motherhood and gender identity. 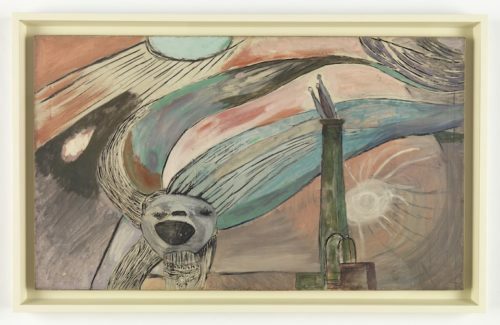 The selection of work at Kettle’s Yard includes sculptures, prints and drawings, reflecting different periods in Bourgeois’ life, and is drawn from the ARTIST ROOMS collection. She engaged with existentialism and surrealism as a young artist in Paris – where she was also mentored by Joan Miró – and moved to New York in 1938. The importance of her work was not fully recognised until the 1970s, when her career was reinvigorated by a new generation of women artists. Her wide-ranging art, encompassed painting, sculpture, installation and printmaking, exploring themes including childhood, family, motherhood and gender identity. There is an extensive programme of events at Kettle’s Yard related to the exhibition. Click here to see what’s on. To be the first to find out about future exhibitions and events, sign up to our email list. This exhibition draws from the ARTIST ROOMS touring collection of over 1,600 works of modern and contemporary art. The collection is displayed across the UK in solo exhibitions that showcase the work of more than 40 major artists, and this touring programme gives young people the chance to get involved in creative projects, discover more about art and learn new skills. Since 2009, 40 million people have visited more than 150 displays at over 75 museums and galleries. ARTIST ROOMS is jointly owned by the National Galleries of Scotland and Tate. The collection was established through The d’Offay Donation in 2008, with the assistance of the National Heritage Memorial Fund, Art Fund, and the Scottish and British Governments.